Sierra Nevada looking east from the Great Valley. The mountains are in the southern part of Yosemite National Park. I live in one of the most polluted valleys in the United States. 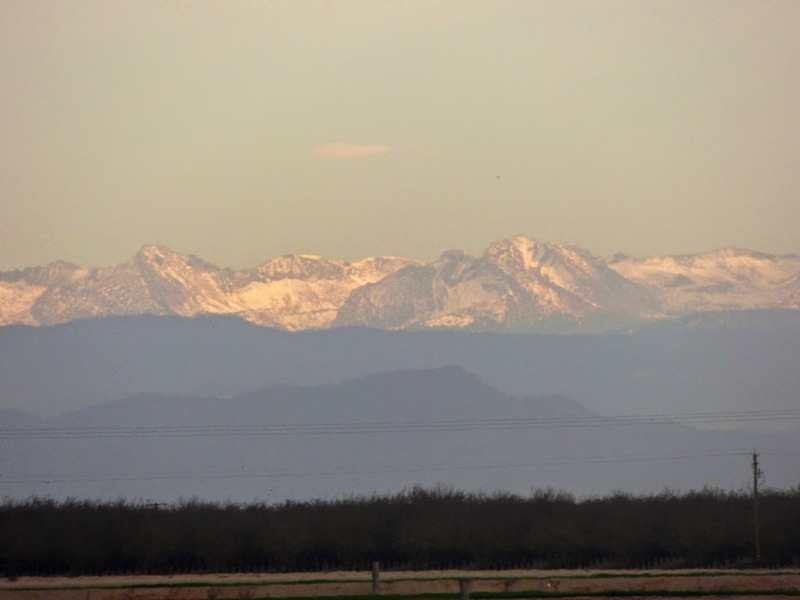 The Great Valley of California is a 400 mile long enclosed basin, with the Sierra Nevada to the east and the Coast Ranges to the west. 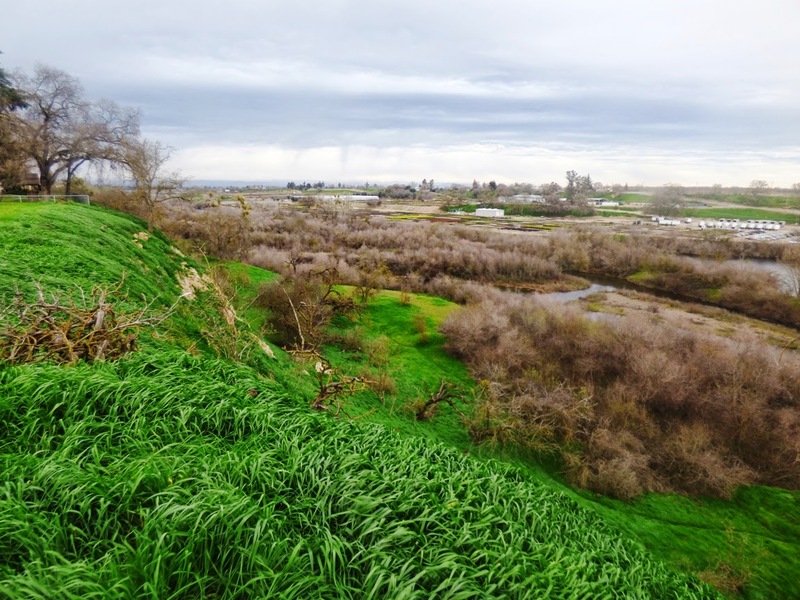 The rivers that flow into the valley exit in only one place, the Sacramento Delta and Carquinez Straits. 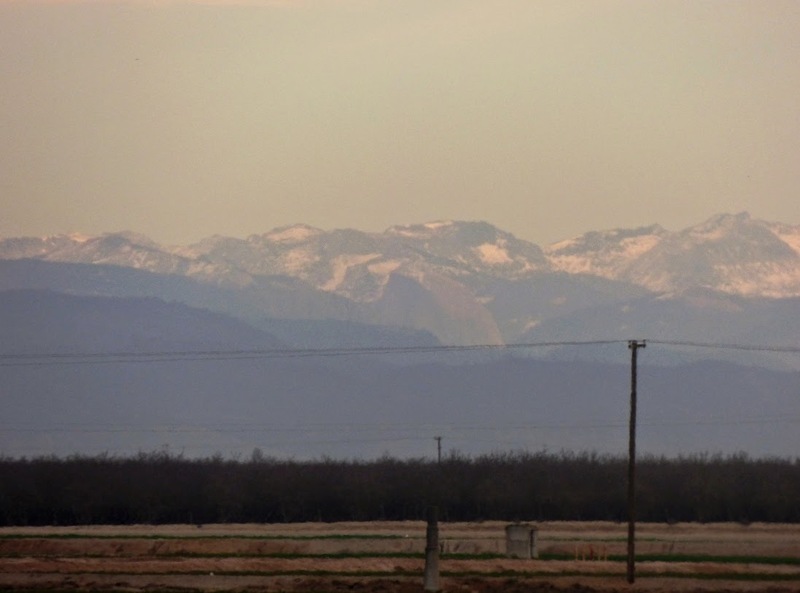 Some of the rivers never even reach the sea; the Kern, Tulare and Kings Rivers historically ended in vast lakes on the valley floor, but irrigation diversions caused the lakes to dry up, and now the valley floor is covered with agricultural fields instead. Tuolumne River in the Great Valley near the Sierra Nevada foothills. Except for today. We had a record-setting December in a good way, 7-8 inches of rain, when 1.5 inches is expected. 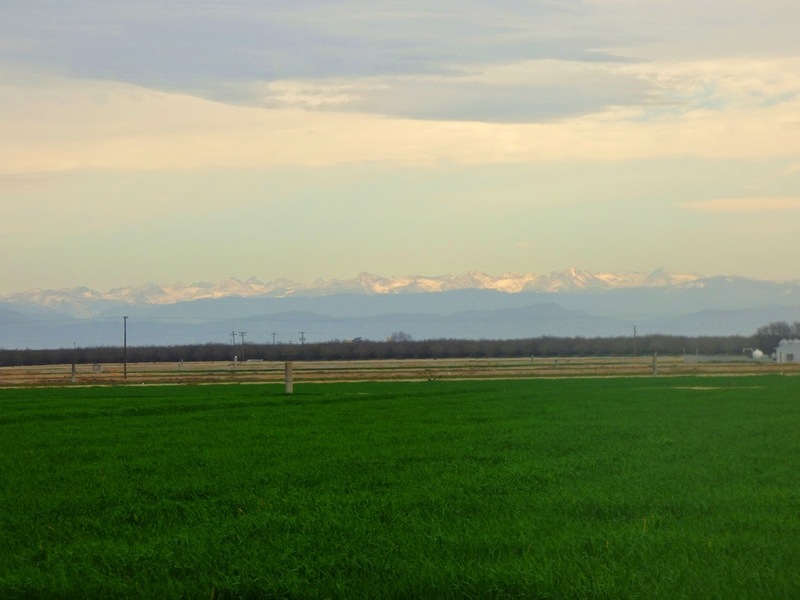 It looked like maybe we could make headway against the worst California drought in recorded history. And then January. Not a drop. Nada. The prospect of a fourth year of drought seems more real than ever. Today a storm blew in. It didn't drop as much as we hoped in our area, but it looks like the rest of the north state got a pretty good soaking. Tuolumne River at the edge of the Sierra Nevada foothills. And there was wind. The wind blew out the dust and pollutants, and I had a fine view of the mountains that rise above Yosemite Valley. I could even make out Half Dome. 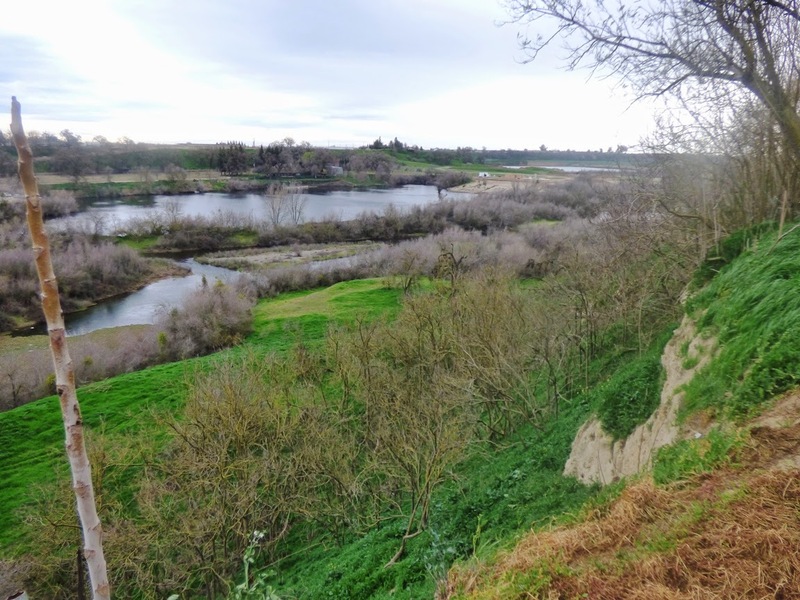 I walked out to the Tuolumne River to check out the proposed river park and trail. It was nice to imagine the river walk that should be constructed here soon. It's close to several local schools, so I am imagining a great outdoor laboratory within walking distance of the classroom. And the view is nice, especially on days like this one. We need a few more like this, please. And don't worry, part two of the Long Valley/Mammoth Lakes saga will be posted tomorrow! Half Dome from the corner of Keyes Road and Hickman Road. It's in the dead center of the picture.